Barrette 042, $38, available at The Loeil. When half a dozen women showed up to the 2018 Golden Globes red carpet wearing some version of a hair accessory, we thought it was a nice coincidence. After all, most celebrities wore all-black in solidarity with the Time’s Up initiative, so a few flashy accents seemed par for the course. Then about a month later, Tom Ford sent models down the runway with black leather headbands, Prabal Gurung endorsed functional stretch combs and hairstylist Guido Palau secured custom banana clips into models’ hair for Alexander Wang’s Fall 2018 show. And finally, as if to round out the trend triptych, came Oscars night, when Lupita Nyong’o’s hairstylist Vernon François weaved gold strands throughout her hair; Andra Day walked the red carpet with dozens of tiny violets in her hair and St. Vincent rocked a huge black flower atop her head. It was official: The same hair accessories that left painful indentations behind your ears in middle school are making a comeback. How nostalgic! It doesn’t come as a huge surprise, though: The scrunchie has been staging a coup for the last six months, and iconic ’90s staples like Champion hoodies and fanny packs have gone mainstream, so it was only a matter of time before fashion delved deeper into its throwback options. And once Alexander Wang gives his blessing to something that was cool when you were a pre-teen, there’s really no going back. Not ready to revive the banana clip on your own head just yet? Dip your toes into the trend with mo[“Source-“]re subtle hair accessories like metal barrettes, lacquered hair ties or minuscule claw clips in neutral colorways. 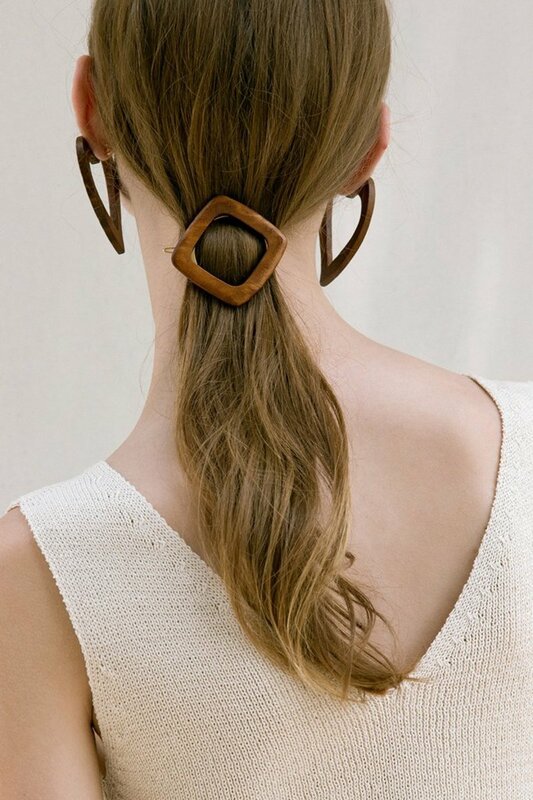 Ahead, we’ve rounded up 19 of our favorite hair accessories of the moment.